From Maupin House: "Katie Monnin is an assistant professor of literacy at University of North Florida in Jacksonville. She has presented nationally at conferences on teaching graphic novels in the classroom, image and print-text literacies, and new media. 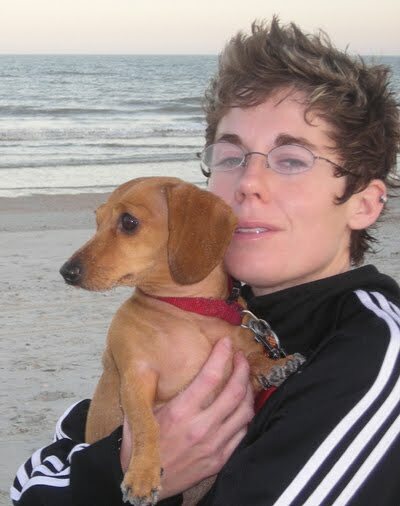 Katie is the co-editor of Florida Reading Quarterly." How did you come to be so interested in graphic literature for young readers? Great question! But I have to backup a bit in history to give you the answer. Unlike many people whom I admire and now work with, I was not a comic or graphic novel kid. 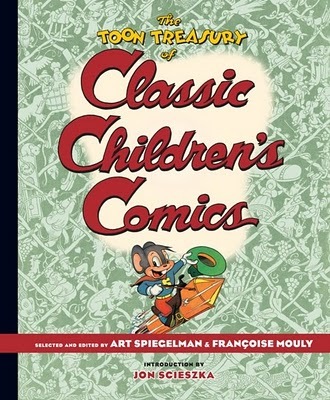 I never read comics or graphic novels growing up, which, looking back now, fuels my now-passionate desire to get more kids to read comics and graphic novels, for comics and graphic novels can open up an entirely new format of reading for younger kids whose strong suit might not be print-text, traditional literacies. 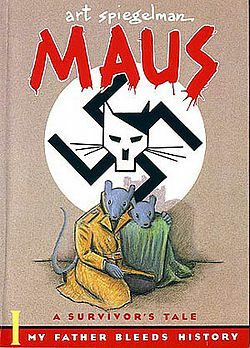 So here’s what happened to lead up to being interested in graphic literature for young readers. At twenty-three, I had both a bachelor’s and a master’s degree, both in English Literature and Creative Writing. But I just felt like something was still missing. I couldn’t fill some sort of void I had in my heart for defining literature on a more modern, global scale. Despite my objections, however, a greater force had gotten the best of me, and I sat down to read it anyway, preparing in my mind only to make fun of it from my literary-ignorant-poise I thought my degrees in English and Creative Writing had given me permission to project out into the world. Boy was I wrong! As I read Maus, my young and arrogant idea of what counted as literature dissolved into the past. 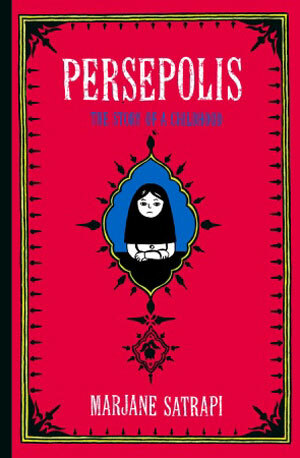 This graphic novel was not only literary, but also brilliant! It operated on two literary levels; both the image and the words fit every single definition of literature I had ever thought of. And it was with that realization that I felt my heart fill with an intense passion to share my new found golden treasure with others. I spent the next eleven years reading, studying, and thinking about how literary comics and graphic novels really are. That said, and as I prepared to earn my PhD in Education, I had two specific long-term goals. Those long-term goals ended up being Teaching Graphic Novels (Maupin House, 2010), which is for middle and high school young adults, and Teaching Early Reader Comics and Graphic Novels (Maupin House, 2011), which is for kindergarten through sixth grade readers. How has the use of graphic literature in classrooms changed over the course of your career? Since 2001, I have noticed that more and more teachers are receptive to teaching a more contemporary literacy stage. As the world outside of school building has continued to be influenced by more and more screen- and image-based technologies that ask readers to be competent readers of what Gardner’s multiple intelligences identifies as verbal-linguistic (print text) and visual-spatial (image text) literacies, classroom teachers are no longer wondering whether or not these “new literacies” should be taught in classrooms. The world outside of school has already decided. The future of reading rests in reading with print text and image text literacies together; for instance, some of the most popular modern reading experiences occur with iPods, iPads, email, the Internet, ereaders, hypermedia, film, television, and, of course, graphic novels. In order to keep pace in what many literacy scholars are calling the greatest communication revolution of all-time, contemporary teachers must make the transition to teaching print text literacies alongside image text literacies. In fact, many literacy scholars now argue that, if teachers fail to make this transition to a more shared literacy stage, they risk creating the greatest disservice in the history of education. In my opinion, the biggest change is that teachers are now more aware of the enormous and positive impact they can make at this specific moment in time. It’s an exciting and monumental time in the history of communication to be a teacher right now, for the future of reading is really in their hands. They hold the potential and the power to empower the most advanced generation of readers to date. What is the appeal of graphic literature? Honestly, I think there are various factors that influence what a reader finds appealing or not appealing. From working with so many children and studying what motivates them to read or not to read, the biggest overlying feature I have noticed is that appeal is in the eye of the reader. Thus, I tend to think of the appeal of graphic novels like a visit to a renowned art museum. Just like each section or room of an art museum has its own style or appeal, each graphic novel has its own style and appeal as well. The reader or visitor can decide whether or not that appeal and/or style is a place where he or she wants to spend little or a lot of time. How does this format facilitate literacy among young readers? Today’s literacy world demands that students be competent readers of both images and print-text literacies. The graphic novel provides that exact reading format, and, in doing so, facilitates a lifelong love of reading for them in a format that matches the literacy world in which they live and love. In fact, young adult graphic novel sales are at the top of the sales market when it comes to contemporary literature. Young adults are not only reading, but also buying graphic novel. And I think that is because the graphic novel format facilitates and offers a modern reading environment that young adults find appealing and comfortable. 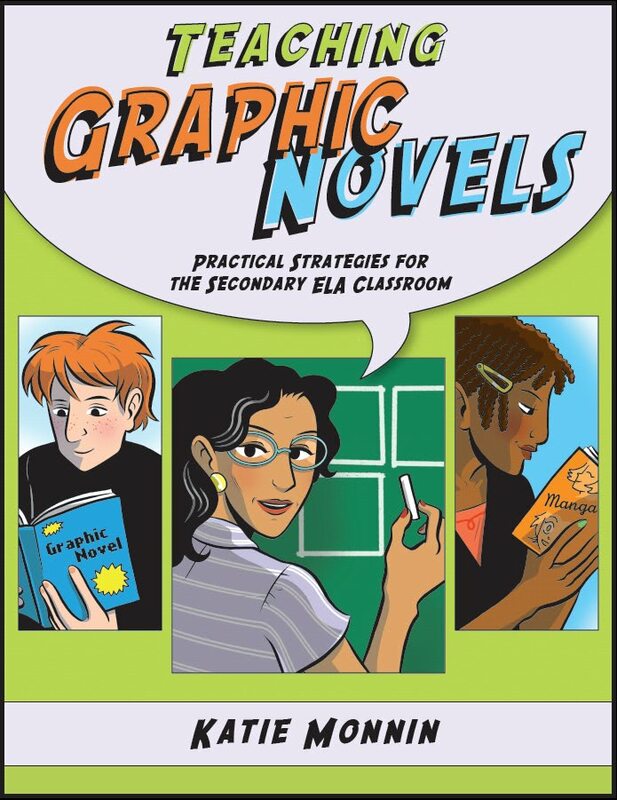 Congratulations on the success of Teaching Graphic Novels! Could you tell us what to expect from the book. What was your overriding philosophy, and what were your areas of emphasis? 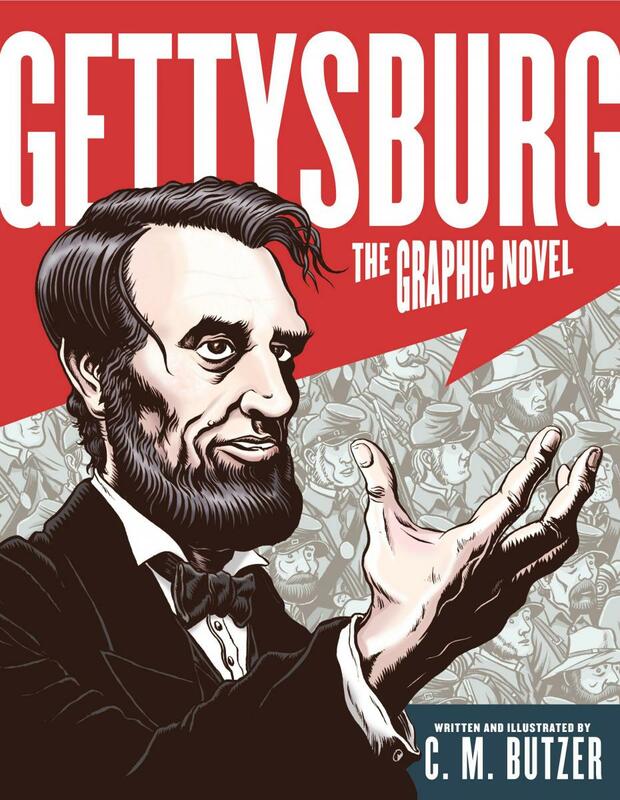 Teaching Graphic Novel’s philosophy is grounded in reaching out to middle and high school teachers and their secondary, higher education teacher educators. The main idea of the book is to explore and explain why graphic novels qualify as valuable and literary-level 21st century texts. 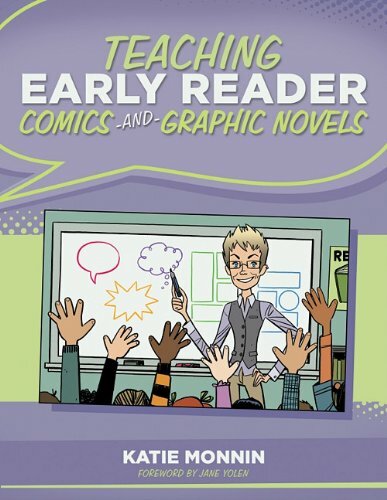 Congratulations of the release of Teaching Early Reader Comics and Graphic Novels! Could you tell us what to expect from this book? And again, what was your overriding philosophy, and what were your areas of emphasis? Teaching Early Reader Comics and Graphic Novels is pretty much a sister-book to Teaching Graphic Novels. With regard to both books, what do you hope your readers take away? When I originally proposed both of these books to my publisher, I told her that I had essential takeaways in mind for the book. 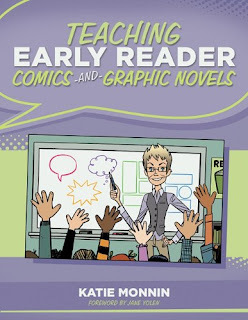 First, it was extremely important to me that teachers and teacher educators not only leave the texts with a better understanding of why they should value comics and graphic novels in 21st century classrooms, but also leave the texts with hands-on, teacher-friendly lesson plans and handouts for doing so. Are there any significant considerations that separate using graphics with young versus older students? Yes and no. Whenever we use image literacies in any type of school setting we need to be sensitive to the intended student audience. However, this is not to say that there is necessarily a difference between what we show older or younger readers. I guess what I am trying to say is that teachers know their students best, and, out of respect for their professional expertise, I think that teachers are the best judges of what types of literacies – whether print-text or image text – their students will be and are ready to handle. For instance, I often find teachers who have third grade students who read on a sixth or seventh grade level. These students are probably more ready for more advanced literacies, whether that be with print text or graphic text. Conversely, I also encounter teachers of ninth or tenth grade students who read on a primary grade level. These students may need a more introductory approach to reading with print-text literacies alongside graphic literacies. In sum, it all depends on how well a teacher knows his or her students and their reading level abilities. What should we know about teaching graphic-format fiction versus nonfiction? With graphic nonfiction, the images used by the artist need to be very carefully chosen. And when I say that I am thinking about historical accuracy with graphic novels on two fronts. Is this a creative nonfiction graphic novel (like Spiegelman’s Maus, which is filtered through Spiegelman’s own creative lens and perspective of his father’s historical storytelling)? Or, are we talking about an informational, historical graphic nonfiction novel (like C.M. "Chris" Butzer’s Gettysburg, which uses letters, diaries, Lincoln’s speech, and first hand accounts to document its historical findings). What do you mean by media literacy? And how does that fit in? For me, media literacy is a critical reading theory. It poses a specific list of questions of each text, asking students to see the texts through those lenses. Who is composing this text? What are their beliefs? And motivations in creating this message? When was the text made? Is the text factual, someone’s opinion, or something else? For more information on teaching media literacy messages or text, teachers, parents, and librarians can visit the National Association for Media Literacy Education (NAMLE) website. What new directions are we saying in graphic-format literature? One of the most significant new directions is in early reader graphic novels. Publishers are realizing that younger readers not only want to read texts that equally emphasize print-text literacies and image literacies, but also need to be able to read such texts (in order to prepare them for their future lives as liteterate, 21st century multi-literacy citizens). Great question! 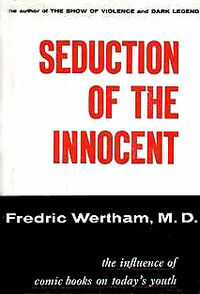 I long to see comics and graphic novels overcome and passionately negate the negative stigma that they were given by Wertham’s 1950s publication of Seduction of the Innocent. And, in all honesty, I think that the evolution of modern literary thought is already making that transition in terms of comics and graphic novels. Comics and graphic novels are high-quality, literary-level texts that not only engage readers, but also challenge and enhance the contemporary reading experience. Let’s say a teacher/library media specialist asked you, “What are the five must-haves for elementary schools, middle schools, and high schools respectively?” What would you tell him/her? Briefly, why would you include each book on the list? First, let me say that these lists are in no particular order. They are just the must-must-must haves for the various grade level teachers and/or library media specialists. If I were to offer a brief explanation for each, I would probably fail to be brief. 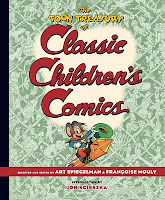 Each of these graphic novels are not only the best and most popular examples of the graphic novel format for these grade level, but also the best examples of just how high-quality and literary the graphic novel can be. The only thing that I would like to add is that I am thankful for the time you and your readers have taken to learn more about the value of graphic novels in contemporary classrooms. I would love to take any questions or comments from your readers and offer the following email address for those inquiries: k.monnin@unf.edu. What a great interview! I will have to look into her book for early readers. I too am a huge promoter of graphic novels in my own school library and my section is ever growing. I love how she literally got hit on the head by Maus. I was a late graphic novel reader as well, not picking one up until I was 19 or 20 and then searching out elementary level ones while taking me elementary education degree. But I love them and love seeing my students get excited about reading them. thank you so much for the kind words. feel free to email me anytime. i would love to hear about your continued work with grahic novels. Kristen, I'm so glad you enjoyed the interview. Thanks for your enthusiasm for graphic-format children's books and for working to connect them to young readers. Katie, Thanks so much for sharing your thoughts and being a leader in this area! Most appreciated!